Buying Highlands NC real estate is easier with the right REALTOR. Just like not all homes are created equal neither are realtors. Finding the right fit is worth the time. You want to start your Highlands NC property search with a person you can trust and connect with. Start the buying process of right and the entire experience will run more smoothly. How do you find the “right” Highlands NC REALTOR? Don’t be afraid to meet with as many as you need to before finding the right one. Speak with friends and neighbors for references. When you meet with each REALTOR ask them the same questions. Things to consider when finding a Highlands NC REALTOR with whom you will work include how long he/she has lived in the area and how long he/she has been in the real estate business. It is also a good idea to find out how available someone may be. You will find out quickly how knowledgeable a REALTOR is and you will know whether you connect or not. Contact our team at Berkshire Hathaway HomeServices Meadows Mountain Realty today to learn more about buying a home in Highlands NC. We welcome the opportunity to introduce ourselves and get you up to speed on market conditions. Let our knowledge and experience serve as your guide to buying Highlands NC real estate. 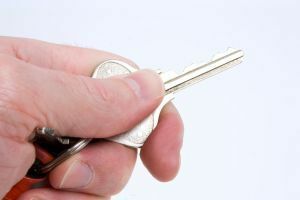 Click here to read “10 Questions to Ask a Real Estate Agent Before the Pro Helps You Buy a Home” from realtor.com.